Concerned about your home’s condition? Unsure on whether it can withstand remodeling or not? 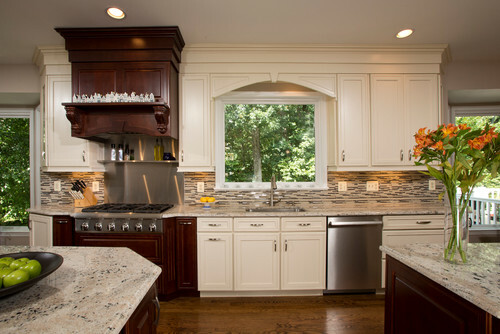 Michael Nash Design, Build & Homes extends all of its services throughout Northern Virginia. If you live in Sterling, then they’ve got you covered. In fact, this award-winning home building team had already remodeled a number of houses in the area. 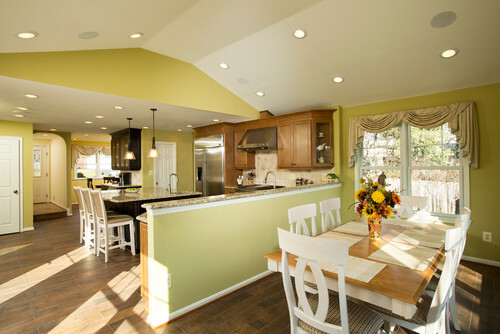 Houzz featured a lot of works from Michael Nash, including entire house and additions remodeling. One of their projects involves certain extensions and spacing. The family wanted to expand their floor plan, opening it up so that the front door connects to the other rooms in the first floor. Before the remodel, the layout was constricting and compact, which limits the family from actually doing much. What’s worse was that, even though their home was overlooking a golf course, they weren’t able to witness the view at all. During the remodel, all the walls were taken down, making everything more accessible. The living room was also elevated to strengthen everything in place. The finished product turned out better than expected. 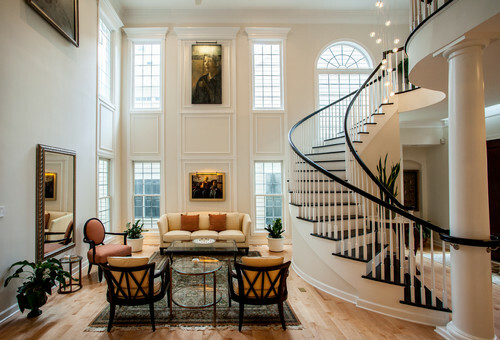 With its maple hardwood floors, custom brush-stroked white cabinetry, high ceiling, grand staircase, and chandeliers, the home looked like a manor – classical and elegant. Another project from Michael Nash featured by Houzz involves an open floor plan kitchen. The best thing about widening a space and connecting one room to another is its capacity to hold a bigger audience. For a family who wishes to host seasonal parties and memorable gatherings, a bigger kitchen is an excellent thing to have. On this particular design, the design team combined the dining area and the gourmet kitchen together, instead of keeping them as two separate rooms. This transformation opened up the space and allowed more natural light in. This design is also perfect for couples who both enjoy being in the kitchen. The cream paint and the off white marble complemented the dark hues of rich mahogany, projecting the perfect balance of femininity and masculinity. Plus the added touch of metallic appliances, flat screen TV, and double sided fireplace makes the right amount of sophistication. There’s a trick when remodeling smaller homes. Since the space is limited, you won’t be able to do much with it. Instead of decreasing your pieces of furniture to make the room breathable, you can focus on making it look cozy. Glass windows and half curtains gives the illusion of a wider kitchen. This also works with the color scheme. The lighter you go, the brighter the room gets. But just like this Michael Nash kitchen remodeling sterling va design in Houzz, if you don’t fancy white paint, you can always go from light to yellow green. And perhaps any other pastel colors that will go well with whatever interior designs you have in mind. You have nothing to worry about anyway, Michael Nash Design, Build & Homes is already more than 25 years in the home building industry. The things you hope they should know, they do know. Their home additions are carefully implemented without compromising the original designs of the houses they are working on. Luxurious master baths are not easy to achieve. It takes time and insight. Hotels and spas will only have nothing but the best with their baths. The style, modernity, and functionality in their designs bring customer service satisfaction. If only they weren’t charged expensively along with the suites, then maybe people could experience them often. This bathroom remodeling design from Michael Nash, showcases the homeowners’ master bathroom. Major changes took place such as the plumbing, repositioning, etc. A fireplace was placed at the corner and a lighter flooring was chosen to make the dark cabinets stand out. Curtains were traded for glass to make the shower area appealing, and a delicate chandelier was added to boost the effect. To complete the spa like atmosphere, a towel warmer, heated flooring and pristine white tub was added. Additionally, Michael Nash Design, Build & Homes can also help you add value to your home through basement remodeling. That old and dark room has better uses, so you shouldn’t waste it as a storage space where it only collects dust. Your home is a plays a great factor as one of your sources of comfort. Don’t let it deteriorate with time.